This is a great way to use up the leftovers from burritos or tacos that you had the night before. 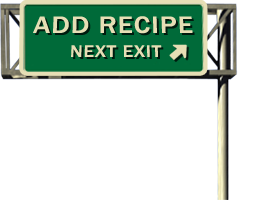 The good news is that almost everything in this whole recipe is optional or can be freely substituted with other ingredients. Use your imagination and add any left over ingredients you need to use up from your fridge. Basically anything you would add to a burrito or taco would be delicious in this breakfast. You can roll it up and call it a breakfast burrito or wrap, but you can get a lot more stuff in it if you just put it all in a bowl. This is really just a bowl of everything Mexican or southwestern flavor that you have on hand. I usually use flour tortillas, just heated up on the griddle or in a dry pan. You can also use corn tortillas, just be sure to cook them with a little oil or cooking spray to take away the raw taste. 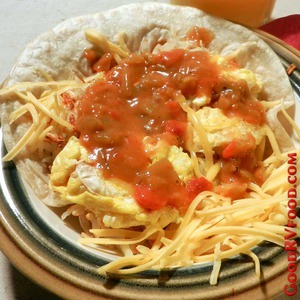 Eggs with some type of sauce and cheese are enough to make this dish delicious.